Our dearly beloved Dave Fayette, 70, left us on Thursday, September 29, 2016. He was born on October 22, 1945, to Ellen and Frederick J. Fayette Sr. — sixth child in a loving family of 11. Dave was a graduate of Rice Memorial High and the University of Vermont, which he followed with service in the United States Army. He and his brother Fred owned and operated Marble Island Resort in Colchester from 1972 to 1987. It’s hard to sum up the life of a legend, and to his family and countless friends that’s what he is … But here goes: He did it “his way” always, and made sure you thought he was doing it your way! With unforgettable charisma and charm, he made everyone smile and feel welcome. A better listener and sounding board could not be found. Principled, considerate, kind, caring and extremely intelligent are just the beginning. A more interesting life would be difficult to imagine, with occupations ranging from the military, professional-caliber golfer and pool player, chef, private investigator, expert negotiator, business owner, stock market savant, and computer technician, to name a few. 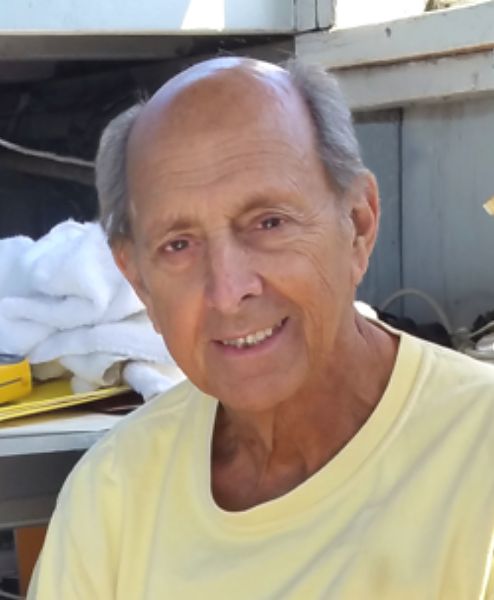 An avid Dodgers, Giants and Celtics fan and a political enthusiast throughout his life. Eccentric? Shooting a subpar round in sneakers duct-taped together, using 30-year-old clubs and reminding us after each birdie that he won’t be satisfied until he fixes his swing. To plan something a week out was impossible, but to do anything spur of the moment was expected. His sense of humor was always present, with laughter coming easily. Ribbing his friends, setting hooks to see who’d bite and reveling in the story. There was no one better to hang out with or confide in, and he always put others before himself. He’ll always be remembered for his kindness, inviting personality and humanity. He spent the final 20 years of his life dedicating all his time to his “Savannah Kids” project. Rebuilding and installing computers (597) for inner-city kids who could not afford them was just the beginning. He gave up everything, most importantly his time, to serve as mentor, tutor, protector, role model and father figure for those in need. His devotion to the families became legendary, and he was known affectionately as “Mr. Dave” throughout Savannah. Dave’s return home to Vermont in July was a gift to all of us as we gathered together to help him on his final journey. There was much laughter, good food, stimulating conversations, many outings to various homes and nostalgic visits to special places. But he glowed with the love-filled visits with his siblings, nephews, nieces and cousins. He leaves his siblings and their spouses: Teresa and Vince Wall, Kathy and Walter Baumann, Fred Fayette and Susan Walter, Amy Tarrant, Marilyn Larkin, Karen Fayette, Diane Fayette, Linda Fayette, Peter and Sandra Fayette, Jay and Susan Fayette and “adopted” sister, Susan Shaw; as well as many adoring nephews, nieces and loyal cousins. The family would like to thank the medical team at the University of Vermont Medical Center. And how can we ever thank the Allenwood staff enough for the amazing care of Dave throughout the summer? He really loved it there, and that made his return home complete. A private family celebration of his life was held on Saturday, October 1, 2016.